Hi Nick – respect your work and enjoy reading your opinions. Contingency contracts occur all the time, especially in real estate. I will buy your house if it passes an engineering inspection. The offer is bona fide, as is the contingency. The offer isn’t rescinded if the house doesn’t pass the inspection, it just is never consummated. If the prospective employee quits their job before fulfilling the contingency, isn’t it on them, and not the employer? Especially if the contingency is clearly spelled out. Otherwise I am in total and complete agreement with you. Perhaps their is no room for contingencies in a job offer, but if it’s a competitive marketplace, I would consider it fair to be told we WILL hire you after you meet these two, quite specific, requirements within a specific time-frame. (a) I have a job that required a background check and the passing of a PC based test. It’s a government job. HR offered me the the job contingent on passing these two things. HR also said not to quit my job until I pass. Unfortunately, for some people this has to be explicitly spelled out. (b) Some employers are so hot to trot to get employees on board that they forget that snafu’s do happen. I’m not saying this happened here, but I’ve had companies push me to resign while the contingencies had not been met. I’ve heard too many horror stories about checks coming back wrong or inconclusive, causing headache on both sides. (c) Why not conduct as many background checks, as legally possible, before even providing any type of offer? I’d think a little forethought and cost up front may avoid hassles in the long run, legal or otherwise. @Cort: I think there is no place for such contingencies in job offers. And I don’t think we can compare job offers to purchase contracts in real estate, which usually create a legal obligation to close the deal if all contingencies are met. I’ve never seen an employer bind itself like that. The “new hire” might meet all the contingencies and the offer might still get rescinded. But you raise a fair and important point that deserves more discussion. David already raised some of the issues I’ll touch on. Offer letters include all kinds of disclaimers to protect the employer. That doesn’t excuse the practice of putting the cart before the horse and implying to a candidate that they’ve been hired. As David has pointed out, some HR managers go so far as to ask candidates whether they’ve resigned yet — before the checks are completed. It’s a lazy way to operate that often costs people their jobs with nowhere left to go. It’s a bad practice. It’s clear HR does this because they don’t want to invest in the checks earlier in the process. They want to make sure the candidate is 100% committed before the company bothers with the checks. This saves the employer money, but it’s irresponsible. What do you think HR would say if, after it tenders a seemingly bona fide verbal offer and demands a quick verbal answer — if the candidate quite prudently (and correctly) said, “I can’t accept until I have the full offer and terms in writing and until you provide a certification that the job is really mine without further risk”? HR has the candidate by the so-called short ones — and candidates are terrified they won’t get the job if they “quibble” about the details. Sorry, but this one’s on HR. It’s time HR was held to account. Those disclaimers are akin to the fine-print “terms and conditions” at the bottom of a sign-in page on a website. Nobody worries about them because HR makes it clear that if you quibble, you lose. I’m not arguing with the importance of contingencies (that’s another discussion). I’m saying an employer should take care of them before it pretends to issue an offer. I’ve seen a shocking increase in complaints about rescinded offers in the past two years. Even if HR can argue that “We warned you in the fine print,” there’s no room for such tricks in hiring. Are they really tricks? 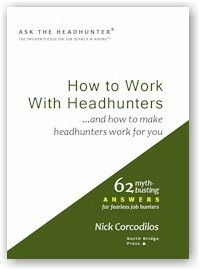 Any seasoned headhunter can tell you what few job seekers know. Employers will start the job-offer process with multiple candidates, to hedge their bets. Then they will end the process with all but one, sometimes resulting in catastrophe for the unsuspecting losers. HR is covered by the disclaimers. Wonder what HR would do if the desired hire added such disclaimers and contingencies to a job acceptance? HR just has too much power in this equation. The “get out of jail free” disclaimer is one power that should be eliminated. I challenge fair-minded, responsible employers to cut the crap. Complete the entire process – including all background checks — before issuing an offer and demanding a quick answer from the candidate. Your reputation will benefit from it. Companies can get away with this because penalties in many areas are simply a slap on the wrist because they usually make the argument that employment is at-will. If I recall correctly, some state courts have ruled that there is no difference between working 0 hours and something greater than 0 hours, as long as the person gets paid for the time worked. In these cases, I believe the company may have only been on the hook for relocation costs due to detrimental reliance. @David: Bingo. In states where employment is at-will, they can fire you at any time for any reason or no reason. That makes it kinda hard to argue a company doesn’t have the right to rescind an offer. All the recent legislation about this is clearly designed to promote the campaigns of the sponsors by making them look good — but the legislation itself seems to be window dressing. It does not help job seekers. I agree with Cort. It is likely the offer was made contingent on passing those screenings. Personally, I would never submit to a drug test without first receiving an offer that was contingent on passing that screening. Not that I am afraid of a drug test, but there is no reason for me to take that step until the employer is serious about hiring me. Nick, you have often railed (rightly) about the ridiculous hoops HR makes a candidate jump through during the application process. I suspect you would balk at making every candidate submit to a drug test before an offer is made. I think you missed the boat here. How’s that? Employers put the bulk of the risk on candidates, when they could easily shoulder some of it themselves to demonstrate they’re acting in good faith. And this begs the real question: Why can’t employers give binding employment contracts to all new hires, that eliminate the risk of “at will” employment? And this raises the real problem: Employers just aren’t sure about the person they’re hiring, so they insist on the freedom to “take back” their hiring decision. Hmmm. If you aren’t good enough at hiring people, what are you even doing in business? I normally agree with your assessments of HR departments and their (lack of) hiring processes. In this case, I believe you missed the mark. The HR rep said they “planned on hiring” the candidate, not that they had made a bonified job offer. The candidate never completed his responsibility on returning background check authorization. This indicates to me that a contingent offer had been tendered, based on the employee passing the background check, but not a bonofied offer. Some states even require a conditional job offer to be in place before a background check can begin. You may have mistaken the use of “during our on-boarding process” as an indication that a bonified offer had been extended. HR today starts using the term “on-boarding” earlier in the recruiting process. I would expect that this company starts that process with the conditional offer. The fault here lies with the applicant, not the HR department. He applied for a job that he was unqualified to perform, he failed to disclose his poor driving record during the interview process, he failed to submit the required paperwork to transition from a conditional offer to a bonified one, and he quit his job before he received the bonified offer. The HR department isn’t at fault here. @Darren: As I noted, the employer said this all transpired three days before the start date. If there’s a start date on which the new hire is expected to appear for work, the employer has gone way beyond “we plan on hiring the candidate.” It’s quite clear the employer is aware the candidate quit his old job, and that customary notice was given, because we have a defined start date. Please see my comments to Cort above. Hiring has become too much of a game controlled by the employer. Verbal offers are made and employers demand quick verbal decisions. They often press the candidate about a start date and about when they are going to resign. All of this before a bona fide offer is made? It’s time for more transparency and accountability from HR. If this was indeed a contingent offer, make it 4 of us that don’t agree. The person being hired knew he was being hired for a position that required driving. He also knew that unless his records had been sealed, a check of his driving record would reveal he’s not qualified for the job. He rolled the dice and lost. Ethical behavior cuts both ways and is required for establishing the trust necessary for a great relationship between an organization and its associates. @Jeff: As I noted, the candidate behaved disingenuously. (He doesn’t deserve to be hired.) But that doesn’t absolve HR’s behavior. How is it “a great relationship” when HR confirms a mutually agreed-upon start date (in 3 days!) and HR still has not obtained authorization for the necessary checks that the start date is supposedly contingent on? Someone’s not doing their job, and someone doesn’t really care what the worst case might be. If this HR wants to be seen as trustworthy, HR should have advised the candidate not to resign until the checks were complete. More to the point, the applicant had not provided the critical authorization and just three days prior to the start date HR didn’t raise a fuss about it? This is where HR/the employer screws up. How is it ever OK to have a process where checks aren’t completed 3 days before the start date? Isn’t this putting the cart before the horse? Look, I’m not trying to stick up for the candidate here, what he/she is doing is definitely scummy. But on the other hand, employers want to claim they are beacons of morality – and then stuff like this falls through the cracks. The contingency clause was a standard in all our offer letters. Because of the bureaucracy it took to get the background check done and the need to move quickly, we would make an offer, and set a start date contingent on a successful background check. During the hiring process we communicated our strict standards and if they wanted to wait for background confirmation that was fine otherwise there was nothing to worry about and they could resign their current position prior to confirmation. We never had to rescind an offer but we did have an offer turned down after a verbal acceptance and before signing the employment agreement. Turned out the background check result would have disqualified the candidate due to his driving record. Note our background check authorization was always part of the employment application. This way we could expedite background if needed. If fact, for senior positions, we still required the sterile application to be signed but I would always tell the candidate; you can skip filling in redundant data that’s on your resume, we mainly need you to read the clauses you’re required to consent to, your SS# and a signature to give us permission to run background should we get that far in the process. Some candidates would choose not to provide a signed application with their SS# until they felt comfortable the job may be a fit and wanted to pursue the opportunity. That choice was respected however we had a hard rule, no offer letter without a signed application. Sorry Nick – agree with previous writers. It’s standard practice to make offers contingent upon successful background check completion. This applicant knew his driving record, was applying for a driver’s position, and his delay leads me to believe he was trying to game the system. The burden was upon the candidate to complete the background check for the offer to go forward. @Sybil: I hear ya, and I hear everyone else. But “standard practice” doesn’t mean responsible practice. It’s a bad standard practice that could be changed to avoid disasters. Sorry Nick, you’re straight up wrong here. If you research “ban the box” you’ll see that there is legislation all over the place that prohibits doing background checks before a contingent offer has been made and accepted. By law, the offer must be accepted BEFORE background checks are launched. @Jennifer: I’d agree with the practice you describe if the “contingent” job offer had the force of a “contingent” real estate purchase contract, which obligates both parties to complete the transaction if all contingencies are met. There is no such obligation in a contingent job offer. If you find one that includes it, please share the example. An employer could complete all the checks and find no problems — yet still rescind the offer. I’ve got a stack of e-mails from readers who had just that happen to them. The process is broken and needs to be fixed. At the very least, HR’s process should include “here are your rights” and “here’s what contingencies really mean.” I think you’re discounting the pressure job candidates feel they are under when a verbal offer is made. @Jennifer: I don’t doubt what you’re saying, but I’d like to see an example or two. I’d like to see what the exact requirements are. For example, do these laws say a CONTINGENT offer has to be made, or that an offer has to be made? The point of the law seems to be to require employers to consider applicants based on their skills and qualifications, and not to reject them from the outset because they have convictions. It does not seem to prohibit rejection due to a criminal record after the interview process. But I’ll assume you’re correct, that “the offer must be accepted BEFORE background checks are launched.” The offer is still not binding. The employer is not thereby obligated to hire the person. The offer does not protect the candidate – it just gives him or her a better chance, perhaps, at showing that in spite of their criminal record, they are still worth hiring. And that’s good. But as I said elsewhere here, I’m not so interested in what is “common practice” or even in what the law is (though of course it matters). My concern is with what sets up job candidates to quit an old job because an employer implies a hire is complete when it is not. This law does not eliminate the hole in the process that puts candidates at risk. In fact, I’d argue this law creates an even worse misconception that puts candidates at even more risk. I have had job offers that required passing a background check. @Greg: Good for you. That’s simply prudent business. What did the employer say? The problem is that employers want a commitment from you, a start date – which implies you have given notice to your old employer, which means you have resigned. And that’s the very real problem in all this. What HR is really doing with contingent offers is pressuring you to commit and quit before it commits to even doing your background check! Even though I carried a Confidential security clearance fifteen years ago, for some reason my criminal background checks take about twice as long. 1. I was unemployed. The check took two weeks longer than they expected. The potential damage was telling my network I was out of search mode, and passing on potential opportunities I turned down. 2. I was working. I told them “two weeks after the background check is complete.” They did not like it. But I was talking directly to the hiring manager and project leader. And I had worked with both of them. I reminded them that with anyone else, it would take at least two weeks to be where I would be on my first day on site. Not to mention if they had to start another search. They said “ok.” Spent the first week not doing anything because the start date of the project got pushed back. I’m throwing this question out there: do you think this is because many employers are cutting operations to the bone and if they lose a key person, it’s “Hurry up and get someone in a chair!” Or, HR budgets have been slashed such that they are not encouraged to conduct checks on the top 2-3 candidates just in case? We know the “finding key people ASAP” is a myth. Most companies will leave a position vacant rather than pay above the average rate. Or bring in someone with character and ability and spend a couple months bringing them up to speed. @David: Yes, I think that is part of it. There’s a vacancy which they suddenly need to fill either because someone finally realized that leaving it vacant is impacting their bottom line (profits) or because it means other projects can’t get done. Now they need to hire someone two weeks ago, hence the rush. I don’t know about the budget aspect; it seems that HR budgets aren’t that bad (they have money to post fake jobs on the boards and to buy ATSes and to waste time processing people for jobs that don’t exist or that get rescinded due to budget cuts) but they don’t have the budget to do proper, timely background checks. Something is very wrong. Think of the time and money HR in this week’s Q&A wasted with the LW, and now they have to start again (assuming that they didn’t just go to their runner-up and that their second choice even wants the job). At a job I had two jobs ago, we had a vacancy for our business office manager for over a year. By the time the university ran the job ad, decided who to interview, then interview again, it was two years before they made an offer to their top choice—who turned them down. They went to their runner-up (with whom they had NOT kept in contact), and she turned them down, after blasting them for not even notifying her that they were no longer interested two years earlier. They tried their third runner-up, and got a no from her as well. So they had start from square one again, and in the meantime things were falling apart in the business office. The dean only saw the “savings” by not hiring someone, but everyone else saw the expense of the vacancy. We had a similar hiring issue some months ago. We were not able to hire due to the candidate having a suspended driving license. We were not told of this by the candidate. It came up in the DMV abstract. The point is, in the job description, one of the requirements stated is to have a valid license. Also the offer is made under the written proviso that the applicant and later candidate is able to successfully pass a background check. The candidate acknowledges this by signing a form that permits us to proceed with the necessary checks. Is this not common hiring practice? @Tony: I try to operate by starting with common sense. If the job ad says a valid license is required, all the employer needs to do is ask the candidate to show it when the interview starts. Why did you have to wait until after the interview, after the offer, and after the DMV check came back? I don’t argue that this is common hiring practice. I’m questioning why it’s common hiring practice and suggesting it’s a bad practice. No one has explained why a background/drug check cannot be done prior to issuing a job offer, to protect both parties. Doing it after issuing an offer with a contingency protects the employer, but not the candidate. Seems like a lot of defensive HR folks out there….they love their “sort of/maybe” hiring process. Your list, in order, is correct. I’m not an attorney, so perhaps Jennifer makes a valid legal point about requiring a “contingent” offer in some jurisdictions, but even so, a “continent” offer isn’t and shouldn’t be misconstrued as an “offer.” In the hiring process, if required by law, a “continent offer” is simply an expression of interest IF and only if various background checks are successfully completed. In the rush to tell their bosses “we hired someone” HR is skipping ahead and creating a mess for themselves, the company and the candidate. This stuff doesn’t have to take a long time if someone focuses on getting it done. Frankly, if a candidate doesn’t return consent forms for background checks, HR should be questioning their commitment to the new job. I always tell my HR people that you keep looking, keep the hiring process going until someone is actually sitting in the (now) empty chair. You’re never done until you’re done. @Albert: I’m not suggesting everyone in HR is out to put candidates at risk. What I think is happening is that the rush to hire and the depersonalization of recruiting and hiring leads HR to forget it is playing with people’s lives. The excuse seems to be expediency. That’s not an excuse for a practice that puts people at great risk. As I pointed out in another comment above, HR in this case let this critical step slide until 3 days before the established start date. When you give a candidate a start date, you’re telling them they’re going to start. The signals are all wrong — way wrong! Thanks to @Jennifer for that interesting fact. I had one offer contingent on a drug test. If I had been a drug user, and failed the test, I don’t think the employer would have been to blame. 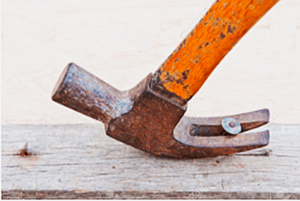 The HR person’s company dodged a bullet – would you want to hire someone like the candidate? I wouldn’t. Besides agreeing with almost everyone else, I have one more point. This is a competitive market today, and why would a candidate with several possible offers hang around waiting for one that will come only after a background check? Case in point, my daughter got an offer from a defense contractor contingent on a security check. This dragged out week after week. Luckily it didn’t cause her hardship, but while she was waiting she got contact by and hired by a different company for more money. Make an offer wait for background checks is going to lose you the best candidates. Sometimes regulations or client requirements require a background check or security clearance. I’m not arguing about the need for background checks. Just that no one is going to wait to see if they even get an offer pending a background check, which seems to be what Nick is advocating. You stay with your old job until you pass the check and then set the start date and give notice. That way you don’t have people bugging your relatives and friends until it is absolutely necessary. 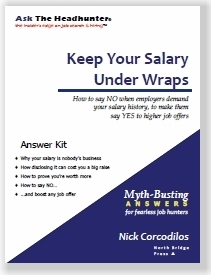 And without an offer you don’t know salary, so you don’t know if you’ll even take the job. Maybe the sloppy approach to hiring is one of the reasons for the “tight” market. Fewer with marketable skills are willing to follow HR’s lead often due to their lack of credibility and professional behavior. I agree that this case turns entirely on whether the job offer was conditional; this is often the case in the UK where from experience job offer letters state the offer will only be confirmed subject to checks with the explicit advice candidates do NOT resign their jobs until confirmation of the offer (and acceptance). On the other hand as Nick discerns, the HR officer only decided to run the checks three days before the start date – appallingly late in the day. What’s the HR officer’s excuse? There is none, just another day in the competency-free universe that is HR. Are there any HR people out there who are genuinely proud of their ‘profession’. In an age where we worry about algorithmns taking over jobs and AI, we can safelysay that HR currently is less intelligent than a machine or rather HR represents Artificial Unintelligence. I do some work for a freelance HR consultant. He is a credit to the profession. And there is a reason he left the corporate world. @Nick (great name): I don’t think the HR person who submitted this week’s question is incompetent. They’d never have submitted the story if they were. I think HR is as brainwashed as the rest of us are. Everyone defends these practices without looking more deeply into the employment system. It’s defended as standard operating procedure. On the other hand, that doesn’t excuse the HR profession from seemingly skating over common sense when HR workers ignore common sense. Look here: both “é” and “è” in Windows running Chrome. @Nick: For an accent egu on the e, hold the alt key and type 0233! De rien! C’est facile, n’est-ce pas? I’m not sure I see a problem here. Every job offer I have received starts with the initial offer, and then it is made clear to me that the background check follows – my current company even told me not to quit my job until the background check was complete. After the background check and drug test, the offer was finalized and a start date set up. Then, to my previous employer’s disappointment, I resigned from my old job. At this point, I had a letter of offer, an official start date, and had passed my background check. My former employer just laid off half their staff. I am glad I did not take their counteroffer. 1. Thoughtfully advised you not to resign til the checks were complete. 2. Didn’t finalize the offer until that point. 3. Didn’t define a start date until that point. That’s the right way to do it. The problem is that this was not the way it was done in this case. Kudos to your new employer. Whew, this is how I’ve conducted my offers in the past – I want a candidate to know that I’m serious and therefore will provide a written contingent offer, then have a conversation to explain everything that needs to happen before that contingency is removed. We’ll often discuss a start date that I’ll include on that letter, with the understanding that it might change depending on what happens with background checks and their current job (I always encourage people to do what they can to leave on a good note, so sometimes they’ll work an extra week to ease a transition). Once we have everything cleared, that’s when I’ll update the letter and ask for it to be signed and returned, after which I encourage their future co-workers to send them a quick “Welcome, we can’t wait to work with you!” note. I realized it had been a while since I’ve seen your newsletters, Nick, and found they were getting caught in my SPAM filter. Glad to be catching up! I suspect the HR person is playing games. The job requires driving, ie, he has a valid licence. The HR didn’t say he didn’t have a license, just had a messy record. I can easily see HR may not have made clear a CLEAN record was necessary. Writing this from California, employers cannot conduct due diligence without a SIGNED job offer…NOT authorization forms…SIGNED offer letter. So the solution is this easy CONDITIONAL offer of employment! I rescind offers all the time because applicants, no matter how strongly you tell them MVR will be pulled, national criminal record will be pulled, State DOJ background will be conducted they still lie. How deep your due diligence can go depends on what state in the nation you’re sitting in. Most job seekers are in an unusual emotional state when they’re doing this. They are sometimes desperate. They are always worried. They are always afraid they’re going to do something to upset the employer. They overlook things. And that’s a recipe for taking advantage of people. I think in many cases there’s a simple explanation for why HR doesn’t do the right thing and clearly caution the applicant that a CONDITIONAL offer is NOT A REAL OFFER. HR wants to move things along as quickly as possible. What better way to do that than for the applicant to quit their job asap, thereby ensuring the quickest start date possible? IMHO, it’s the language that’s used/not used in many of these offers. But, my guess is that HR usually just gives a start date with the caveat of any background/reference check. What it should really be is that the start date will be X days/weeks/months/years after the background check is completed. It’s the natural reaction, and it’s what gets people into hot water. Step one, any advertising for a position makes it abundantly clear what the job will entail and highlight issues that would “red light” a person from getting the job – e.g. convicted of DUIs etc. Step two, in the interview, specifically highlight these red lights and ask the person if they have any of them. Highlight that any offer will be contingent of passing background checks and if they have any of the red light the conditional offer will be rescinded. Step three, tell the candidate that they have until X date to fill in the authorization forms or the conditional offer will be rescinded. Step four, tell the candidate not to quit their job until you have provided them with a written offer indicating that have passed all the conditional checks. I don’t have a problem with HR making an offer contingent on passing the background checks; provided it is made clear what the contingency is and the checks are done in a timely manner. What I don’t understand is, if HR already had a partial authorization why they didn’t complete those prelimary checks ASAP? They wouldn’t have needed to wait for the final authorization as he didn’t pass the first one. @Margaret: That’s a great recipe for transparency and hiring integrity. Nothing difficult about it. It’s only a problem when HR operates a mill that considers applicants meat to be processed. Yep. That’s the dirty little secret in this story. I think it’s SOP in most companies. I think there were errors committed by both parties here. The candidate didn’t have a clean driving record, and didn’t sign the authorizations for the prospective employer to do the background searches. Did he think the employer would let this slide? Maybe….and this is where HR screwed up. They gave him a start date (which I can see being interpreted as “you’re hired”) and waited until three days before his start date to run a partial background check, discovering the dings on his driving record, and then rescinding the job offer. The fact that HR was able to run a partial background check tells me that they could have done this much sooner, and thus not even made him an offer. Yes, the candidate should have been honest. The time for that was during the interview–“I have three DUIs on my driving record, but nothing in the past x number of years. Is this going to be a problem for you?” or something to that effect. There was nothing in the letter to indicate whether these are old DUIs and speeding violations or more recent. My other question is whether HR made it crystal clear that having a clean driving record is a requirement (and to define “requirement”). These days, too many job descriptions blur the lines between “requirements” (as in MUST HAVES) and “wish lists/would likes” (as in we’ll still consider you even if you don’t have them). Maybe this employer thought he was being clear, but there is so much sloppiness that I can see how people would think it might not matter as much. I don’t think there’s anything wrong with HR making an offer contingent upon passing the background checks, and setting deadlines for getting the authorization and for getting them done by x date. If they are not completed by x date, then the offer is rescinded, or if the candidate does not pass the background checks, then the offer is rescinded. Nowhere should HR begin the on-boarding process, because that indicates a formal hiring to me. And sometimes even when a candidate clears all of the background checks and does everything right the offer still gets rescinded. My brother currently works at a state university. At his previous job (a large, very famous university), he was hired AFTER the previous candidate was hired and the offer rescinded. My brother was looking for a job, saw that a former colleague was working there, so he contacted him and asked him if there were any vacancies. The answer was “I just hired somebody; the guy accepted our offer and is due to start working here in less than a week, but I’d rather hire you.” My brother said that the other guy had already quit his job, so once the offer was rescinded, he didn’t have a job to go back to. But none of that mattered. There was nothing wrong with the other guy, only that the boss had already worked with my brother, and preferred to hire him. Even when due diligence is done, job offers can still go south. No question the candidate was playing games, too. But again, that doesn’t absolve HR of responsibility. When it’s applicant vs. employer, the employer always has the power and the edge. It also has the responsibility. Yes, I agree. There are no clean hands here, but the employer had his responsibilities. Waiting until three days BEFORE the guy is supposed to start work is not the way to handle this. Don’t employers have processes for hiring? Don’t they periodically review them? What about tweaking them or even implementing new ones if/when they find the old methods no longer work? What about training and supervision of HR staff so steps don’t get skipped when there are rules to follow? At my last job, I often thought about and revised processes because things do change, and methods and rules have to change too. It seems like no one is exercising the little grey cells or using any common sense. Job offers get rescinded all the time, but even after written offers have been made and when contracts are being finalized. I have had this happen twice with smaller companies. Understand that companies, especially smaller ones, figure they can do anything to the candidate as what recourse can you take? Marybeth, nothing against your brother, but what kind of person would rescind a bonafide job offer to another person to hire him? I hope it worked out OK for your brother. I no longer believe that any candidate should consider a job offer anything other than conditional even after you start for at least three months and even six. I knew of people who accepted positions with a now defunct company called Cendant who quit prior jobs, showed up on their start date and were told by the manager that the budget had been pulled and the job didn’t exist anymore–go home. I have heard of people hired by consulting companies for a project, something goes south on the funding or project, and they get one paycheck before they are gone. My clearance for my present position took HR three weeks from the conditional offer and my VP couldn’t get a straight answer out of them until three days before I started and I was to travel to a corporate meeting, when I finally received the bonafide offer. The morning of that day I was in an interview with another company (no, it didn’t turn into an offer–about 90 days later someone from the university actually notified me, and I had the distinct pleasure of telling them I wasn’t exactly waiting on them because I was employed elsewhere). I also have a friend with a major healthcare company who was allowed to start even when the background checking company could not confirm her undergrad degree from NYU (which is notoriously dilatory in confirming transcripts and graduation)–and she has two master’s degrees! Fortunately it was confirmed and she’s still there. @Dee: Regarding your question and comment about my brother’s prior hiring story, that was exactly my question and comment to him at the time. I, too, wondered about the character and ethics of a person, even as someone my brother knew because they had worked together at a previous employer, who could do that to other person he had hired. And what would prevent him from doing the same thing to my brother if someone he liked better than my brother fell out of the sky onto his desk AFTER he had hired my brother? If he did it to that guy, he can do it to you. My brother told me that what the other guy did would never happen to him because they had worked together before and got along well. My brother has a different world view–he doesn’t believe that age discrimination or gender discrimination exist at all (he has never experienced it, and looks for all kinds of reasons to deny their existence). So hiring has generally worked out great for him, and he’s fortunate that he has never experienced age or gender discrimination. I can’t have any kind of discussion with him about what it is like searching for jobs. Maybe someday he’ll face age discrimination, and maybe he’ll never experience it. And yes, that job did work out very well for him. He left it after five years for his current job (which pays much, much more) and I believe is still periodically in touch with the guy with the shady hiring ethics (who had moved on to a different job before my brother left). My brother works in prospect research, and at least in this state (MA), it is a small, incestuous group (at least those who do this work at colleges and universities)–they all know eachother, and most have worked with eachother in different jobs. You’re also right re your warning to people to consider all jobs conditional for months after they begin. At my last job, a colleague who was working another part time job had been hired full time at this other place. Her co-worker had quit for a better job at a different company, so there was a full time vacancy. She was hired, gave notice to us, but then after two weeks at her new job, my colleague’s former co-worker called her old employer, complained that she didn’t like her new job and new employer (they were mean) and asked if she could come back. The employer promptly fired my colleague and re-hired her former co-worker. Even though she had given notice with us, no one had been hired to replace her, so the dean told her to come back. That’s an example of the really bad behavior exhibited by some employers. Sometimes the employer is having financial and other difficulties, and of course there is no guarantee that employers will be in business, or that they will be honest with you. When I worked for a management consulting firm, there were stories about some businesses hiring people when they knew they were going under….our consultants were appalled, and told them to be honest with people (better still not to hire than to hire and then tell people that they won’t be in business). Thank you Marybeth for the explanation of your brother’s circumstance. Be happy he lives a charmed life, but I for one am puzzled that he doesn’t have a wider view where he would understand your situation. You eloquently draw a larger point which is that on the employer side, AND in academic environments where their leaders prate on about how much better and more noble they are than the private sector, there is a profound lack of ethics and ‘doing the right thing’. I hope you are finding it a bit easier in your job situation. 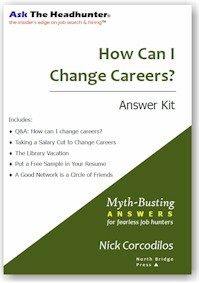 @Dee: I’m puzzled too, re my brother’s world view re job hunting and hiring. The last time he had a hard time getting hired was when he got out of school (more than 25 years ago) and was facing the no experience challenges that we all face (the you can’t get a job without experience, and you can’t get experience without a job conundrum). Once he got his first job, all subsequent jobs were, in his words, easy. He didn’t go to a fancy school, didn’t have any kind of social or professional connections, and we grew up working class-poor (couldn’t rely on family help or connections to get a toehold in the working world). My brother is in his 50s, and I’ve wondered how easy he would find it to get a new job if his current employer suddenly decided to let him go because they could get three younger, cheaper workers for his salary. I’ve read the studies that show that men generally don’t face age discrimination until they’re in their 50s (earlier if they work in computers/technology) but that women face age discrimination beginning in their mid-30s. I’m sure that part of my brother’s “luck” is due to his work ethic and his ability to play the office politics game well. But the other part is truly “luck”–he hasn’t had nutso-crazy bosses or colleagues for quite a long time, and I think he has forgotten how toxic and insane some workplaces can be, even when they don’t begin that way. His professional connections have gotten him interviews and hired at his last four jobs–he never had to run the ATS gauntlet or jump through background checks/drug tests/personality tests that he admits his employers use for other hires. I am happy for him that his employment searches and getting hired have been so easy, and I hope that it continues. Whether he will remain with his current employer, I don’t know. I only hope that he develops some understanding and empathy for those who don’t have it as easy. The tale of my colleague (getting hired and then fired when the former employee decided she wanted her old job back) isn’t one of academia but of a hospital. I was telling my brother about her, and he didn’t understand it. He kept saying “but there are laws” and “then if they fired her it must have been something she did, some technology skills she lacked, or some problem with her”. She was 29 when this happened, she had worked there part time for three years with no complaints, that her technology skills were up to date and excellent, and that they had no problem hiring her for the vacancy. If they didn’t like her, or if her skills were lacking, then I would think the hospital wouldn’t have hired her. They would have run an ad for the job instead of going with an internal hire. They just liked her former coworker better, just as my brother’s old boss and colleague at his previous job liked him much better than outside guy he had hired first. I tried to explain that the only law is at-will employment, which, as we have discussed here many times, means that an employer can fire an employee for any reason or no reason so long as the reason isn’t based on something like race. So the hospital was perfectly within its rights to fire her, and there are no laws available that would have protected her from that firing. It didn’t make sense but logic is not part of it. I don’t think there is any difference between the public and private sectors when it comes to ethics and bad behavior. The only difference is that sometimes it can be harder to fire someone in the public sector, particularly at a university and if the person is faculty. But staff lack the same protections (tenure) that faculty have, and unions vary in their ability to be a check on the more egregious bad behavior from management. Thank you, too, for your kind thoughts. 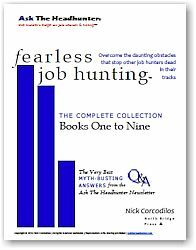 As Nick has always said, it takes time and hard work to find a good employer and job (and that’s what is difficult). Hey, Dee — that’s a really good point. ALL job offers and ALL jobs are conditional anywhere that “employment at will” is the law. Two prior job offers were full blown offers – salary, title, start date, etc. which needed to be signed and returned within 48 hours. Both offers stated that they were contingent upon passing a drug screen and a background check. Along with the signed offer letter was a letter of my own that stated I would be happy to resign my current position upon receiving notice in writing that all contingencies had been successfully met, and after a SECOND written offer letter with NO contingencies and a revised start date (if the old date was earlier than 2 weeks out) was sent to me. I got bitchy responses from both HR flacks, but they complied, I received the updated letter, and THEN I resigned. My current company follows the standard contingency practice, but adds that no offer is considered final until you receive the confirmatory email that all contingencies were met. Not ideal, but better than guessing. There are some companies which would rescind the offer based on that response, BTW. Has anyone heard of HR flacks or others in a company disqualifying an offer based on a candidate’s rational, protective response of this type and making up a cover story? The once or twice I have dealt with companies like these, there is a giant push to get someone hired ASAP so there is no revenue loss. And it’s often complicated if the person is employed and there are background checks. @Hank: That’s the best, most honest and fair way to hire that anyone has suggested. And I’m glad (a) that you do it, and (b) some companies actually abide by it. @Hank: That is a great way to handle it, and one that I’ll remember for myself. Your being proactive took care of any ambiguities left open by the conditional offer. My only question is why doesn’t HR do this? Hank shows this doesn’t have to be complicated, and it shows good faith and ethical behavior on the part of the employer. There is no reason for the HR flacks to be bitchy about this, unless your response embarrassed them because you did their jobs for them. This highlights the importance of having a good and ethical recruiting process. * have a good well defined trigger to kick it off. That would be a hiring manager’s interest in making an offer. This shouldn’t be frivolous as it’s going to commit the company and the candidate to time & money. If you can only hire 1, make it a good one. Make sure they understand, no waffling, and don’t change your mind once and offer is out..you are committed to make it work. * HR should invest in reference checks. It’s your own background check of sorts. This increases the chance that you aren’t going to waste your and an applicant’s time on what may turn out to be an unworkable fit later. * all of my experiences, including the job offers I had, were contingency offers. But…total transparency. I was so informed up front so I could manage the risks and my decisions. Including start dates. * Allow applicants the option of finalizing start dates when results are back. Unless you’re checking background to the depth of what it takes to get security clearances, it really doesn’t take that long to get results. On the applicant side, don’t play games. Disclose up front what you would want to know if you were in the company’s position. My advice as a recruiter to people with past issues, is to disclose, don’t lie, don’t BS. It really is appreciated by the hiring side to know what they are dealing with. There’s no guarantees, but in most cases, including jail time your issues weren’t a deal breaker. What’s a deal breaker is hiding relevant info. I don’t think anyone mentioned, but HR as representing the company’s ethical interests, needs to remember that job rescinds are non trivial. They are bad business. Hence the need for a good process to prevent resorting to it. Rescinding offers will negatively effect your company. It’s a rotten thing to do to an applicant. And it really is a small world. Bad news does travel fast and there’s no way you can, as a company coming out looking good. It’s also like shooting yourself in the foot. No one likes to work for a company that rescinds an offer. Bad news travels even faster inside a company. And if you’re a manager, multiply the feeling and desirability for working for a company that does it. During my working life I’ve also heard the horror stories of rescinded offers and knew their truth. And I’ve seen some scenarios where managers wanted to..but were calibrated by HR and that simple rule. No you won’t. “Cornell sociology and law professor Ifeoma Ajunwa said she’s concerned about these tools’ potential for bias. Given the large scale of these automatic assessments, she believes potentially faulty algorithms could do more damage than one biased human manager. And she wants scientists to test if the algorithms are fair, transparent and accurate. “Hiring is undergoing a profound revolution. DeepSense, based in San Francisco and India, helps hiring managers scan people’s social media accounts to surface underlying personality traits. The company says it uses a scientifically based personality test, and it can be done with or without a potential candidate’s knowledge. Companies like HireVue and DeepSense are the reason why I am happy I have only a few more years in the workforce. If you think age and personal discrimination is bad now, just wait. There should be an “escrow” process to hiring. There should also be a bill of rights for job seekers. The deck is stacked too heavily in favour of the employer. No explanation, no answer to my inquiry as to what happened. This was a part-time delivery job, nothing special. I have a clean MVR and already work part-time doing outside process service. * The departing employee’s new job offer exploded. * Departing employee was relocating for a spouse’s new job, and the spouse’s offer exploded. * Departing employee was relocating for family caregiver reasons, and the relative died suddenly before the relocation making it unnecessary. @Sue: I don’t see why any of those reasons are understandable. About a year ago, I did multiple interviews for a job at a small company about 2 miles from my home. Found it on a job board. My current job of six years is for another small company that’s toxic, and near as I can tell, is spinning around the drain. This company made me a verbal offer, and even asked me when I could start. I asked for a written or email confirmation. That morning, at 3:00 a.m. (? ), I received an email from them stating that they’d “decided to go another route”. I really dodged a bullet here. Lesson learned, employers words are as trustworthy as a ten dollar crack whore’s. I don’t trust employers as far as I can spit, and that’s not too far! My background checks are always very slow and onerous. I feel like many companies would back out and look for someone else if they didn’t feel like they’d already committed to me. I also wouldn’t want to go through the incredible pain of providing all of that info unless I felt the company was serious about hiring me. Contingent though it might be, I feel like the least they could do is give me the offer letter. Maybe I’m lucky but if it’s contingent that’s always been spelled out. I’ve also run into one place that let you start without completed checks with the understanding that you would immediately be let go without notice and for cause (no unemployment) if the results were not what they wanted whenever they did come back. In most cases when I’ve had to go through a background check process I was unemployed for a time before the position so I didn’t have to worry about giving notice; if I did I wouldn’t do so without notification that I’d passed the contingencies. I’m not entirely sure how that would have worked logistically as most letters did include a proposed start date. A bigger issue I haven’t seen discussed is the level of checking some companies do. It’s often ridiculous, probably designed in an age when most folks worked at a handful of companies throughout their careers. Providing complete info for the last 10 or 15 years or your entire working life is much more difficult when that’s not the case. Your last N employers makes more sense – and it seems like it would be a decent representative sample. Sure, someone could lie just about one older job from 20 years ago, but if they’re providing true information on more recent jobs it seems significantly less likely they’d do so on older and thus most likely less relevant info. I’ve done a ton of contract work so I have at least an order of magnitude more employers than the average person. It usually takes me close to a week – often with side calls to the background check company and to former employers with the requisite waiting for returned calls – to gather the copious amount of information you’re required to submit or to find out how they want me to enter certain things or to make my employment history fit forms that sometimes don’t work for it (example: I was told providing any false information or omitting any employer in the past 15 years would result in termination or non-hire depending on when it was discovered. I had previously worked a four week contract that ran within a single calendar month. The electronic form refused to allow the same month as a start and end date, refused to allow me to omit the start or end date, and basically would not allow me to enter the position truthfully. I was eventually told to omit it. I sent out an email to both the background check company and the potential employer confirming that I would be omitting it per their instructions. When I signed the required statement that I’d included everything after I finished filling out the forms I sent another follow up email indicating that I included everything except as directed by the company as follows with a list of the agreed upon omissions and wrong info). After I get a background check company the requested info, it usually takes them at least twice as long as they state up front to finish the check. I’ve had several take 3-4 weeks. I think the shortest one was 10 days. I have had start dates adjusted, sometimes more than once. It’s particularly ridiculous when I do this for a contract; I’ve only done that a couple of times for a contract as most places do agree that a 2-4 week background check process for a 2-3 month work engagement is serious overkill. Thankfully many full time employers I’ve encountered don’t require a serious background check that looks at long term employment history, but they’re definitely more prevalent than they were at the start of my career. As you can probably tell I am not a fan of the background check, but I most certainly don’t want to do one until the very end of the process when I have some sense that the job is real. Of course things can still fall apart, or the job could end after a week, or all sorts of other things could happen but it makes it less likely. I received and offer contingent upon drug screens and background checks. Ok. I passed. Then Friday before the Monday I was supposed to start they spring it on me that I need to change my license over from out of state. I still own property in the other state and have over reasons for keeping it (in particular the new state wanting me to get a new birth certificate and SS card which would have taken weeks and my license was expiring in 1). Anyway, this wasn’t even a driving position. I was literally only going to be driving to and from work. I told them that afternoon I could change my license over but because of outside factors would not be able to do it before Monday. They agreed to let me start and agreed to give me 30 days to change over. I was bothered by this but fine. Then Monday at 8:30 I show up for orientation and was sent home without explanation. I received an email a few hours later simply stating my offer was rescinded. @Dean: This seems like an odd arrangement. In my current job, they even told me, “Don’t resign from your previous job until we complete the background check.” Then they wrote to me and I had the start date in writing. At that time I submitted my letter of resignation from my previous job. Of course, my current company has 400000 employees internationally. I will say that under at will employment laws that the company that rescinded your job offer did not violate any laws. Still, this is dirty pool. I was recruited to interviewed with company a week ago–interview with VP and Director went very well. Returned home, called recruiter as instructed to let her know how interview went. She called back an hour later saying they really liked me, that I beat out other candidate, that she could give me verbal now. We discussed compensation, came to agreement, she made verbal offer, and I accepted right away over phone. I was ecstatic! I called her and confirmed next day, which was a Friday, and she she said all is good, done deal, go into weekend happy, secure in that you have job. I want you to be very happy–do not have doubt, you have the job!! She reiterates that writen offer will follow next week. That it will take 10 days for IT to get me set up with computer, etc. And by the way, hiring manager really liked the business plan you wrote and gave him during interview–can you send me a copy. I did. Monday, I reach out to her, and she says manager is putting a list of your accounts together that will be assigned to you. Part of process–sorry it’s taking him a bit longer but it’s a necessity for offer letter. Should be done soon. Weds rolls around NO WORD, I call hiring manager–had sent him email day after interview and accepting verbal indicating I was looking forward to being part of team and having positive impact. He promises to get back by end of day saying that another approver has to approve, and then we are good. No word by COB. Next morning, I receive email from him stating that there was some ‘discomfort’ in length of time spent in my past positions, and they were not moving forward and would look at other candidates. I was completely blown away, and I think this was completely unfair. I acted in good faith, was given verbal, which I accepted and had rug pulled out from under me. If I had failed drug test or background I would understand but didn’t even get to that. Would not have been problem anyway. 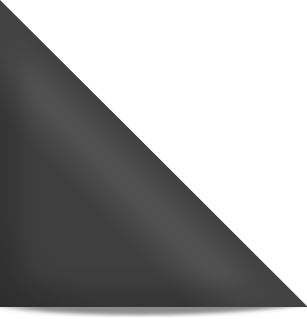 What is consensus or feedback please–i really wanted this position–thank you in advancee. @Dean – threads on ATH are never old, they are timeless, and are applicable throughout our work lives! !